Have you noticed some changes to the thickness of your hair recently? Perhaps you feel there’s less to wash or you are finding it harder to style in the mornings. Thinning hair can understandably be a concern for many men, but rest assured there are steps you can take to help tackle this. 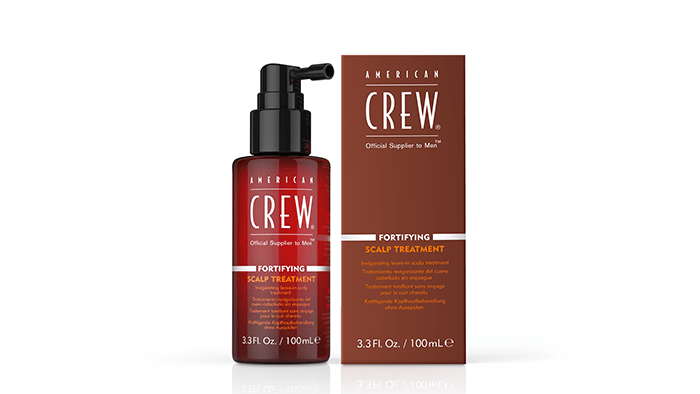 Number one men’s grooming brand, American Crew, have introduced their Fortifying Treatment regime – aimed at slowing down hair loss for men. This 2 step regime consists of a Fortifying Shampoo and Fortifying Scalp Treatment Spray that has been designed to reduce hair breakage by 80%. It’s a unique and powerful combination that helps to reinvigorate and fortify the hair, while providing volume and promoting a healthier and energized scalp. Both boast a fresh and clean citrus mint fragrance with notes of orange zest and lime, mixed with invigorating notes of spearmint and peppermint – great to give you that boost in the morning! How to use: To be used on fine hair. Wet hair thoroughly and gently massage a small amount into your hair and scalp. Rinse well and use daily. 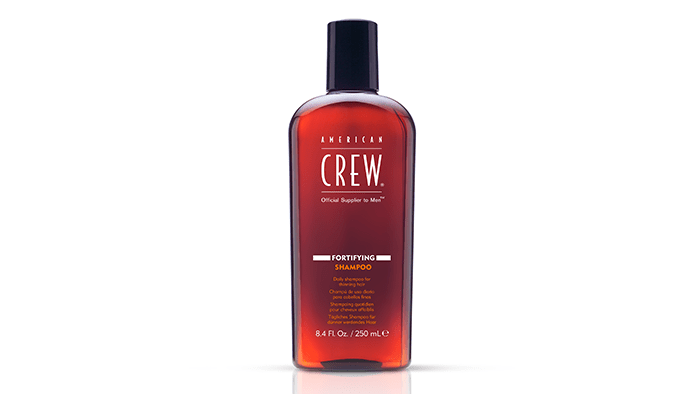 Benefits: It softens and removes build-up to help increase hair volume and leaves the hair soft and clean. How to use: Use on fine hair. Apply directly onto your scalp and gently massage in. This is a leave in treatment and therefore you do not need to rinse. Use daily. Benefits: The treatment spray is formulated with Keratin Amino Acids and vegetable proteins to reduce breakage by up to 80%. It improves hair flexibility and ultimately thickens hair. You can grab both these products at selected Jacks of London stores and our teams will be happy to show you how to use them before you take them home. TOP TIP: Even though you might like the idea of longer styles, shorter haircuts are usually a better option for thinning hair. Short crops, buzzcuts and high and tight are some of the styles we would recommend you to consider. 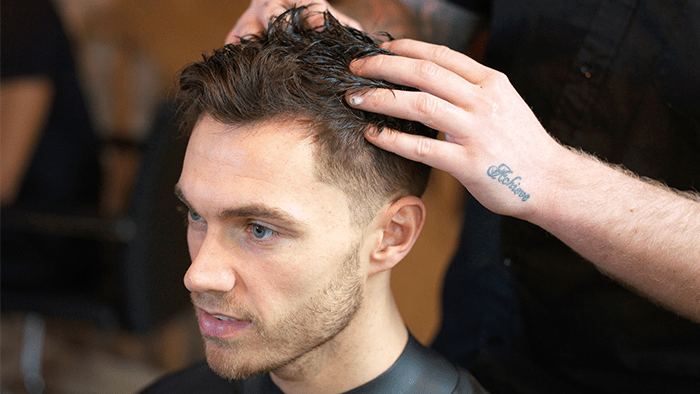 However, speak to one of our professional barbers in store about which haircut, styles and products would suit you best. The foundation for a great outfit and great style starts with the basics.